EPA 24 MPG Hwy/18 MPG City! Chrome Wheels, 4x4, Trailer Hitch, 24C SXT CUSTOMER PREFERRED ORDER SELE... TRAILER TOW GROUP READ MORE! KEY FEATURES INCLUDE 4x4, Chrome Wheels MP3 Player, Keyless Entry, Electronic Stability Control, Bucket Seats, 4-Wheel ABS. OPTION PACKAGES 24C SXT CUSTOMER PREFERRED ORDER SELECTION PKG 3.7L V6 engine, 4-speed auto VLP trans, 16 x 6.5 aluminum wheels, deep tint sunscreen glass, fog lamps, luxury front/rear floor mats, speed control, sun visors w/illum vanity mirrors, temp gauge/compass, universal garage door opener, TRAILER TOW GROUP full size spare tire, HD engine cooling, class III hitch receiver, pwr steering cooler, 4-pin connector wiring. VEHICLE REVIEWS 5 Star Driver Front Crash Rating. 5 Star Driver Side Crash Rating. WHO WE ARE A Tradition of excellence continues here at Fremont Motors. Give us a call and see what we have to offer and we can help you find the vehicle that fits your needs! Pricing analysis performed on 4/17/2019. Fuel economy calculations based on original manufacturer data for trim engine configuration. Please confirm the accuracy of the included equipment by calling us prior to purchase. Very Nice. Hitch, Aluminum Wheels, 4x4, AM/FM STEREO W/MP3/6-DISC CD CHANGER, 26F LAREDO CUSTOMER PREFERRED ORDER S..., No Accidents AND MORE! KEY FEATURES INCLUDE Aluminum Wheels. Keyless Entry, Privacy Glass, Electronic Stability Control, Bucket Seats, Brake Assist. OPTION PACKAGES 26F LAREDO CUSTOMER PREFERRED ORDER SELECTION PKG 3.7L V6 engine, 5-speed auto trans, fog lamps, universal garage door opener, auto headlamps, auto-dimming rear view mirror, 8-way pwr driver seat, 4-way pwr front passenger seat, fold-away pwr heated mirrors, rear pwr outlet, security alarm, (6) Boston Acoustics speakers, 276-watt amplifier, illuminated vanity mirrors, QUADRA-TRAC II ACTIVE FULL-TIME 4WD SYSTEM, AM/FM STEREO W/MP3/6-DISC CD CHANGER, TRAILER TOW GROUP class II hitch receiver, trailer tow wiring harness. Jeep Laredo with Light Khaki Metallic Clear Coat exterior and Medium Slate Gray interior features a V6 Cylinder Engine with 210 HP at 5200 RPM*. No Accidents. VEHICLE REVIEWS 5 Star Driver Front Crash Rating. 5 Star Driver Side Crash Rating. OUR OFFERINGS Live Free, Drive Fremont. Pricing analysis performed on 4/15/2019. Horsepower calculations based on trim engine configuration. Please confirm the accuracy of the included equipment by calling us prior to purchase. FUEL EFFICIENT 42 MPG Hwy/30 MPG City! Very Nice, Fremont Certified. Navigation, Heated Seats, Moonroof, iPod/MP3 Input, Bluetooth CLICK NOW! KEY FEATURES INCLUDE Navigation, Sunroof, Heated Driver Seat, Turbocharged, Diesel, Satellite Radio, iPod/MP3 Input, Bluetooth, CD Player, Aluminum Wheels, Heated Seats. MP3 Player, Keyless Entry, Steering Wheel Controls, Child Safety Locks, Electronic Stability Control. OPTION PACKAGES SPLASH GUARDS (SET OF 4). Volkswagen TDI w/Sunroof & Nav with Night Black exterior and Titan Black interior features a 4 Cylinder Engine with 140 HP at 4000 RPM*. 1-Owner, No Accidents. PURCHASE WITH CONFIDENCE AutoCheck One Owner 90 Days or 3,000 miles Pre-owned vehicle Limited Warranty, Call for details BUY FROM AN AWARD WINNING DEALER Live Free, Drive Fremont. Pricing analysis performed on 4/3/2019. Horsepower calculations based on trim engine configuration. Fuel economy calculations based on original manufacturer data for trim engine configuration. Please confirm the accuracy of the included equipment by calling us prior to purchase. 3rd Row Seat, Heated/Cooled Leather Seats, Running Boards, Premium Sound System, iPod/MP3 Input, Rear Air, Trailer Hitch CLICK NOW! KEY FEATURES INCLUDE Third Row Seat, 4x4, Rear Air, Heated Driver Seat, Cooled Driver Seat, Running Boards, Premium Sound System, iPod/MP3 Input, Multi-CD Changer, Trailer Hitch, Chrome Wheels, Dual Zone A/C, Heated Seats, Heated/Cooled Seats. MP3 Player, Rear Seat Audio Controls, Keyless Entry, Privacy Glass, Child Safety Locks. OPTION PACKAGES PERFORATED LEATHER LOW-BACK FRONT BUCKETS (STD). EXPERTS REPORT 5 Star Driver Front Crash Rating. 5 Star Passenger Front Crash Rating. BUY FROM AN AWARD WINNING DEALER A Tradition of excellence continues here at Fremont Motors. Give us a call and see what we have to offer and we can help you find the vehicle that fits your needs! Pricing analysis performed on 4/3/2019. Please confirm the accuracy of the included equipment by calling us prior to purchase. Fremont Certified. PRICE DROP FROM $14,997, $1,200 below Kelley Blue Book!, FUEL EFFICIENT 36 MPG Hwy/28 MPG City! CD Player CLICK NOW! KEY FEATURES INCLUDE Back-Up Camera, iPod/MP3 Input, Bluetooth, CD Player, Lane Keeping Assist MP3 Player, Remote Trunk Release, Keyless Entry, Child Safety Locks, Steering Wheel Controls. Toyota LE with Black Sand Pearl exterior and Black interior features a 4 Cylinder Engine with 132 HP at 6000 RPM*. PRICED TO MOVE Reduced from $14,997. This Corolla is priced $1,200 below Kelley Blue Book. 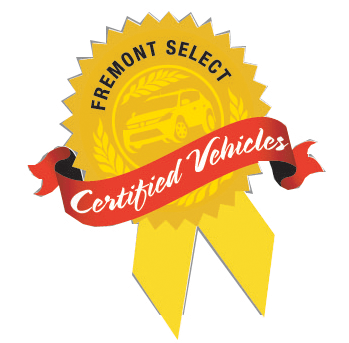 PURCHASE WITH CONFIDENCE 90 Days or 3,000 miles Pre-owned vehicle Limited Warranty, Call for details VISIT US TODAY A Tradition of excellence continues here at Fremont Motors. Give us a call and see what we have to offer and we can help you find the vehicle that fits your needs! Pricing analysis performed on 4/10/2019. Horsepower calculations based on trim engine configuration. Fuel economy calculations based on original manufacturer data for trim engine configuration. Please confirm the accuracy of the included equipment by calling us prior to purchase. Very Nice, Fremont Certified, ONLY 58,456 Miles! FUEL EFFICIENT 35 MPG Hwy/24 MPG City! Heated Leather Seats, Moonroof, Bluetooth CLICK ME! KEY FEATURES INCLUDE Leather Seats, Sunroof, Heated Driver Seat, Back-Up Camera, Premium Sound System, Satellite Radio, iPod/MP3 Input, Bluetooth, Aluminum Wheels, Keyless Start, Dual Zone A/C, Heated Seats, Heated Leather Seats MP3 Player, Keyless Entry, Remote Trunk Release, Steering Wheel Controls, Child Safety Locks. Acura Premium Pkg with Polished Metal Metallic exterior and Parchment interior features a 4 Cylinder Engine with 150 HP at 6500 RPM*. No Accidents. PURCHASE WITH CONFIDENCE 90 Days or 3,000 miles Pre-owned vehicle Limited Warranty, Call for details VISIT US TODAY Live Free, Drive Fremont. Pricing analysis performed on 4/2/2019. Horsepower calculations based on trim engine configuration. Fuel economy calculations based on original manufacturer data for trim engine configuration. Please confirm the accuracy of the included equipment by calling us prior to purchase. $500 below Kelley Blue Book! Third Row Seat, Rear Air, Back-Up Camera, Remote Engine Start, Onboard Communications System CLICK NOW! KEY FEATURES INCLUDE Third Row Seat, All Wheel Drive, Rear Air, Back-Up Camera, iPod/MP3 Input, Onboard Communications System, Aluminum Wheels, Remote Engine Start. Rear Spoiler, MP3 Player, Keyless Entry, Privacy Glass, Steering Wheel Controls. OPTION PACKAGES AUDIO SYSTEM, COLOR TOUCH AM/FM/SIRIUSXM RADIO WITH CD PLAYER 6.5 diagonal touch-screen display (STD), TRANSMISSION, 6-SPEED AUTOMATIC (STD), ENGINE, 3.6L SIDI V6 (281 hp [210 kW] @ 6300 rpm, 266 lb-ft of torque @ 3400 rpm [359.1 N-m]) (STD). Chevrolet LT with TUNGSTEN METALLIC exterior and TITANIUM interior features a V6 Cylinder Engine with 281 HP at 6300 RPM*. AFFORDABLE This Traverse is priced $500 below Kelley Blue Book. WHO WE ARE A Tradition of excellence continues here at Fremont Motors. Give us a call and see what we have to offer and we can help you find the vehicle that fits your needs! Pricing analysis performed on 4/13/2019. Horsepower calculations based on trim engine configuration. Please confirm the accuracy of the included equipment by calling us prior to purchase. Fremont Certified, Very Nice. EPA 40 MPG Hwy/30 MPG City! Satellite Radio, Back-Up Camera, iPod/MP3 Input, WiFi Hotspot, 1-Owner. CLICK NOW! KEY FEATURES INCLUDE Back-Up Camera, Satellite Radio, iPod/MP3 Input, Onboard Communications System, Aluminum Wheels, WiFi Hotspot. MP3 Player, Remote Trunk Release, Keyless Entry, Steering Wheel Controls, Electronic Stability Control. OPTION PACKAGES TRANSMISSION, 6-SPEED AUTOMATIC (STD), ENGINE, 1.4L TURBO DOHC 4-CYLINDER DI with Continuous Variable Valve Timing (CVVT) (153 hp [114.08 kW] @ 5600 rpm, 177 lb-ft of torque [239 N-m] @ 2000-4000 rpm) (STD), AUDIO SYSTEM, CHEVROLET MYLINK RADIO WITH 7 DIAGONAL COLOR TOUCH-SCREEN AM/FM stereo with seek-and-scan and digital clock, includes Bluetooth streaming audio for music and select phones; featuring Android Auto and Apple CarPlay capability for compatible phone (STD). Chevrolet LT with Summit White exterior and Jet Black interior features a 4 Cylinder Engine with 153 HP at 5600 RPM*. 1-Owner. SHOP WITH CONFIDENCE AutoCheck One Owner 90 Days or 3,000 miles Pre-owned vehicle Limited Warranty, Call for details WHO WE ARE Live Free, Drive Fremont. Pricing analysis performed on 3/6/2019. Horsepower calculations based on trim engine configuration. Fuel economy calculations based on original manufacturer data for trim engine configuration. Please confirm the accuracy of the included equipment by calling us prior to purchase. FUEL EFFICIENT 35 MPG Hwy/27 MPG City! Hot Pepper Red Metallic Tinted Clearcoat exterior and Charcoal Black w/Red interior, SE trim AND MORE! KEY FEATURES INCLUDE Back-Up Camera, iPod/MP3 Input, CD Player, Onboard Communications System, Aluminum Wheels. MP3 Player, Keyless Entry, Steering Wheel Controls, Child Safety Locks, Electronic Stability Control. OPTION PACKAGES TRANSMISSION: POWERSHIFT 6-SPD AUTO W/SELECTSHIFT 3.90 Axle Ratio, HOT PEPPER RED METALLIC TINTED CLEARCOAT, EQUIPMENT GROUP 200A. Ford SE with Hot Pepper Red Metallic Tinted Clearcoat exterior and Charcoal Black w/Red interior features a 4 Cylinder Engine with 120 HP at 6350 RPM*. OUR OFFERINGS A Tradition of excellence continues here at Fremont Motors. Give us a call and see what we have to offer and we can help you find the vehicle that fits your needs! Horsepower calculations based on trim engine configuration. Fuel economy calculations based on original manufacturer data for trim engine configuration. Please confirm the accuracy of the included equipment by calling us prior to purchase. Fremont Certified, Very Nice, ONLY 22,410 Miles! JUST REPRICED FROM $17,575, $1,200 below NADA Retail!, EPA 39 MPG Hwy/27 MPG City! SEE MORE! KEY FEATURES INCLUDE Back-Up Camera, Satellite Radio, iPod/MP3 Input, Bluetooth, CD Player, Aluminum Wheels, Remote Engine Start, Dual Zone A/C, Cross-Traffic Alert, Smart Device Integration, Blind Spot Monitor. MP3 Player, Keyless Entry, Remote Trunk Release, Steering Wheel Controls, Child Safety Locks. Nissan 2.5 SV with Super Black exterior and Charcoal interior features a 4 Cylinder Engine with 182 HP at 6000 RPM*. No Accidents. EXCELLENT VALUE Reduced from $17,575. This Altima is priced $1,200 below NADA Retail. PURCHASE WITH CONFIDENCE 90 Days or 3,000 miles Pre-owned vehicle Limited Warranty, Call for details VISIT US TODAY Live Free, Drive Fremont. Pricing analysis performed on 3/21/2019. Horsepower calculations based on trim engine configuration. Fuel economy calculations based on original manufacturer data for trim engine configuration. Please confirm the accuracy of the included equipment by calling us prior to purchase. NAV, Heated Leather Seats, Premium Sound System, All Wheel Drive, Onboard Communications System, iPod/MP3 Input, Satellite Radio CLICK ME! KEY FEATURES INCLUDE All Wheel Drive, Turbocharged, Premium Sound System, Satellite Radio, iPod/MP3 Input, Onboard Communications System, Aluminum Wheels, Remote Engine Start, Dual Zone A/C MP3 Player, Keyless Entry, Child Safety Locks, Steering Wheel Controls, Electronic Stability Control. OPTION PACKAGES RESERVE EQUIPMENT GROUP ORDER CODE rear view camera, wood steering wheel, ambient lighting, rear parking sensors, HD radio, headlamp accent lighting, driver's side electrochromic exterior mirror, navigation w/voice recognition, blind spot information system (BLIS) w/cross traffic alert, pwr decklid w/soft close, cooled perforated leather driver/front passenger seats, pwr tilt/telescoping steering wheel, RETRACTABLE PANORAMIC ROOF, 3.7L TI-VCT V6 ENGINE, CHARCOAL BLACK, PERFORATED LEATHER TRIMMED BUCKET SEATS. Lincoln with Ruby Red Metallic Tinted Clearcoat exterior and Charcoal Black interior features a V6 Cylinder Engine with 300 HP at 6500 RPM*. BUY FROM AN AWARD WINNING DEALER A Tradition of excellence continues here at Fremont Motors. Give us a call and see what we have to offer and we can help you find the vehicle that fits your needs! Pricing analysis performed on 3/4/2019. Horsepower calculations based on trim engine configuration. Fuel economy calculations based on original manufacturer data for trim engine configuration. Please confirm the accuracy of the included equipment by calling us prior to purchase. Lariat trim. Heated Leather Seats, iPod/MP3 Input, Bluetooth, CD Player, Satellite Radio, Alloy Wheels, Tow Hitch, Flex Fuel, 4x4. READ MORE! KEY FEATURES INCLUDE Leather Seats, 4x4, Heated Driver Seat, Flex Fuel, Satellite Radio, iPod/MP3 Input, Bluetooth, CD Player, Trailer Hitch, Aluminum Wheels, Dual Zone A/C, Fourth Passenger Door, Heated Seats, Heated Leather Seats MP3 Player, Keyless Entry, Privacy Glass, Child Safety Locks. EXPERTS ARE SAYING 5 Star Driver Front Crash Rating. 5 Star Driver Side Crash Rating. OUR OFFERINGS A Tradition of excellence continues here at Fremont Motors. Give us a call and see what we have to offer and we can help you find the vehicle that fits your needs! Pricing analysis performed on 4/17/2019. Please confirm the accuracy of the included equipment by calling us prior to purchase. EPA 35 MPG Hwy/28 MPG City! SUPER WHITE exterior and BLACK interior, SE trim. CD Player, ALL-WEATHER FLOOR LINER PACKAGE, Bluetooth CLICK NOW! KEY FEATURES INCLUDE Back-Up Camera, iPod/MP3 Input, Bluetooth, CD Player, Aluminum Wheels Rear Spoiler, MP3 Player, Remote Trunk Release, Keyless Entry, Child Safety Locks. OPTION PACKAGES ALL-WEATHER FLOOR LINER PACKAGE cargo tray, All-Weather Floor Liners. Toyota SE with SUPER WHITE exterior and BLACK interior features a 4 Cylinder Engine with 132 HP at 6000 RPM*. VISIT US TODAY Live Free, Drive Fremont. Horsepower calculations based on trim engine configuration. Fuel economy calculations based on original manufacturer data for trim engine configuration. Please confirm the accuracy of the included equipment by calling us prior to purchase. Fremont Certified, Very Nice. JUST REPRICED FROM $19,991, FUEL EFFICIENT 28 MPG Hwy/22 MPG City! Onboard Communications System CLICK NOW! KEY FEATURES INCLUDE 4x4, Back-Up Camera, Satellite Radio, iPod/MP3 Input, CD Player, Onboard Communications System, Dual Zone A/C, Smart Device Integration, Brake Actuated Limited Slip Differential. Rear Spoiler, MP3 Player, Keyless Entry, Privacy Glass, Steering Wheel Controls. OPTION PACKAGES ENGINE: 2.0L ECOBOOST auto start-stop technology, GVWR: 4,840 lbs, 3.07 Axle Ratio, WHEELS: 17 SPARKLE SILVER PAINTED ALUMINUM (STD). 1-Owner, No Accidents. PRICED TO MOVE Reduced from $19,991. SHOP WITH CONFIDENCE AutoCheck One Owner 90 Days or 3,000 miles Pre-owned vehicle Limited Warranty, Call for details WHO WE ARE Live Free, Drive Fremont. Pricing analysis performed on 4/5/2019. Fuel economy calculations based on original manufacturer data for trim engine configuration. Please confirm the accuracy of the included equipment by calling us prior to purchase. FUEL EFFICIENT 38 MPG Hwy/42 MPG City! CD Player, Dual Zone A/C. Magnetic Metallic exterior and Medium Light Stone interior, SE trim SEE MORE! KEY FEATURES INCLUDE Back-Up Camera, Satellite Radio, iPod/MP3 Input, CD Player, Onboard Communications System, Aluminum Wheels, Dual Zone A/C Rear Spoiler, MP3 Player, Remote Trunk Release, Keyless Entry, Child Safety Locks. OPTION PACKAGES ENGINE BLOCK HEATER, MAGNETIC METALLIC, ENGINE: 2.0L IVCT ATKINSON-CYCLE I-4 HYBRID (STD), EQUIPMENT GROUP 200A. Ford SE with Magnetic Metallic exterior and Medium Light Stone interior features a 4 Cylinder Engine with 188 HP at 6000 RPM*. VEHICLE REVIEWS Approx. Original Base Sticker Price: $25,000*. WHO WE ARE A Tradition of excellence continues here at Fremont Motors. Give us a call and see what we have to offer and we can help you find the vehicle that fits your needs! Pricing analysis performed on 2/6/2019. Horsepower calculations based on trim engine configuration. Fuel economy calculations based on original manufacturer data for trim engine configuration. Please confirm the accuracy of the included equipment by calling us prior to purchase. Excellent Condition, Fremont Certified, LOW MILES - 69,124! Satellite Radio, iPod/MP3 Input, CD Player, Running Boards, Alloy Wheels READ MORE! KEY FEATURES INCLUDE 4x4, Running Boards, Satellite Radio, iPod/MP3 Input, CD Player, Aluminum Wheels. MP3 Player, Keyless Entry, Electronic Stability Control, 4-Wheel ABS, 4-Wheel Disc Brakes. OPTION PACKAGES MEDIUM DARK FLINT, CLOTH FRONT SPORT BUCKET SEATS center console (STD). Ford Sport with Dark Shadow Gray Metallic exterior and Medium Dark Flint interior features a V6 Cylinder Engine with 207 HP at 5250 RPM*. 1-Owner, No Accidents. SHOP WITH CONFIDENCE AutoCheck One Owner 90 Days or 3,000 miles Pre-owned vehicle Limited Warranty, Call for details BUY FROM AN AWARD WINNING DEALER Live Free, Drive Fremont. Pricing analysis performed on 4/10/2019. Horsepower calculations based on trim engine configuration. Please confirm the accuracy of the included equipment by calling us prior to purchase.